Homeschool, Online and On-Campus Day School. You are looking for a Christ-centered, 21st-century education delivered by a premier, fully-accredited preparatory school. homeschool and on-campus programs will certainly fit your needs. Champion Day School (Apopka, FL) is a fully accredited 21st-century Christ-Centered school incorporating technology, traditional values, small class size and engaging lessons with hands-on and traditional learning. We offer flexible enrollment options to meet the educational needs of each student. Parents remain the primary educators while fulfilling necessary legal requirements. We’re one of the few fully accredited private diploma schools, which allow parents a full curriculum choice for home-educated children. Comprehensive counselor support and state-sanctioned record-keeping options are included. A fully accredited web-based learning environment offering a media-rich, online curriculum for K-12. Versatile, user-friendly and customizable packages. As a parent, there is a lot of information to absorb when choosing a new school! We’ll guide you through all your questions. Click through our website, download an enrollment packet or sign up for an online webinar or campus information meeting. CPA Day School and CPA Homeschool is so responsive to allow our son to advance to a more challenging math level and to work at a higher level in other subjects based upon his strong transcript and academic testing. We found the atmosphere to be so warm, caring, and encouraging. You recognize each child's particular strengths, challenges, unique gifts, and needs for alternate approaches. You do this while still employing an expectation of courtesy and civility and having high standards for proper behavior. You took a child who was losing his love of learning and developing a poor self-image in the public school setting, and you gave him interesting lessons in a group setting where he could enjoy interacting with other classmates. I am so impressed with the mutual respect I have witnessed in my son toward his teachers. Thank you for the many life lessons you teach. 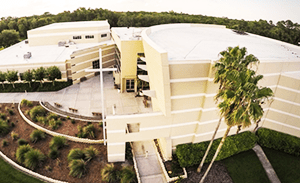 If you are looking for a church home in the Central Florida area, be sure to check out Journey Christian Church in Apopka, FL 32703.